For the past thirty-two years, Karla Metzler, CEO of Strategic Technology Partners of Texas has helped organizations bring technology to the workplace. As an Authorized Xerox Sales Agent, Karla has served on the National Xerox Presidents Council and has been the recipient of many sales awards for exemplary performance. Her company prides itself on customer satisfaction. Karla earned a bachelor's degree in Computer Science and a minor in Government from Texas Woman's University. 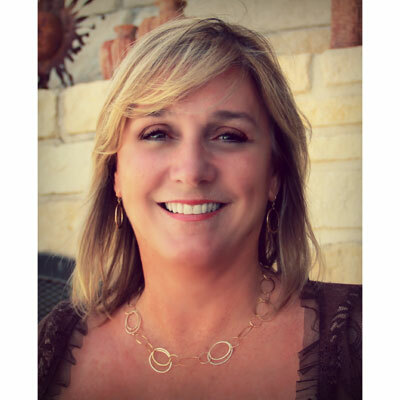 Karla has participated several times as a breakout sessions keynote speaker at the Texas Conference for Women, held each year in Austin Texas. Karla is married and has two children. She is actively involved in her community as an elected member of the North Central Texas College Board of Regents, currently serving as Chairman of the Board. Prior to that she has served as a board member for the Cooke County Hospital District for fifteen years, two of those as President. She is a member of Sacred Heart Catholic Church and has held many leadership positions with local organizations serving the community such as Abigail's Arms, Rotary and the steering committee of Leadership Gainesville. Being versed in technology and leading the way to share its benefits both with my team and customers has been very rewarding. I have worked with manufactures of technology channel solutions to improve their offerings in the channel space by providing feedback, testing solutions and sharing best practices with other solution providers. These activities are key when delivering proven solutions to the growing market place. Solving problems at all levels have been key to growing our business and delivering high value workplace improvements. Top line revenue growth at Strategic Technology Partners of Texas is one of our key initiatives for the upcoming year. We will need to continue our quest on finding new partners and enhancing our relationship with our current partners regarding solutions and process improvements. Another initiative is to build on our company's awareness in the market place. As the demand for channel increase we will strive to become a potential partner and trusted advisor. We are aggressively looking to grow in the new logo space while continuing high-level care for our existing customers. My company was recently awarded the Xerox Excellence Club Award. Ranking second in the Platinum category in the United States Channel Group for 2017. This award is given to the top ranked agencies based on sales accomplishment. Mike Feldman, President, North America Operations, Darren Cassidy and others from the USCU team presented this award during our recent Partner Conference. Additionally, during early 2017 I was honored to attend the "the opening bell ringing ceremony on the floor of the Wall Street Stock Exchange" with Xerox Corporation. This honor was one of the most memorable events in my professional career. There are many women I admire, some deceased, some living, some famous, some known only to their working cohorts, family and close friends. To select one would be impossible, however to sum up their characteristics is easy. Kind, but firm; smart, but don't portray themselves as overly intelligent; always prepared; and willing to pitch in to help no matter what the cause. Many ladies with these qualities set the bar high for those around them. I strive to model my life aligned with the qualities. Have many mentors in life and career, they keep you grounded, pick you up during the down turns and are the first to say way to go, you did it. We all make mistakes, you must learn from your mistakes and do all you can to prevent them from happening again. Accept constructive criticism as a path to learning. Give back to others and your community, it is our obligation to the world in which we live. There is no traffic jam on the extra mile. I would choose to master speed reading as a new job-related skill. Technology and the speed of information is requiring us to react faster and faster to each situation which creates a death spiral if you can't keep up. Communication today requires reading from all types of devices and media, smart phones, tablets, memos, and journals to name a few. All responses by you are expected to be quick, thorough and accurate regardless if they are internal or external communications. "Settle for More" by Megyn Kelly, is a book I enjoyed reading in the past year. Megyn shares her life story proving that perseverance, courage and shear hard work pay off. There is no substitution for deciding what you want, planning on how to obtain it and flat going for it.